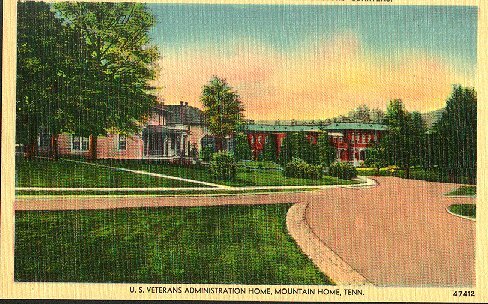 " US Veterans Adm. Home - Mountain Home, Tennessee - C1935." (1269) POSTCARD: US Veterans Adm. Home - Mountain Home, Tennessee - C1935. - Condition: Very Good. - Colored picture. Not Posted. Picture is a sunrise scene of Hospital Group and Doctor's Quarters. Price: $3.50 + shipping.